A cozy room houses eight artists of multiple mediums but of similar concerns. Despite its intimate stature Transitions V.2 at Associated Gallery speaks volumes. In The Active Space building on a quiet block of busy Johnson Ave, this artist-run gallery held an open call and from this invitation, a community of artists unbeknownst to themselves found a single voice and in tandem protest our age of ecological concerns (Grobstein, Shu, and Oates), free-market capitalism (Henry), simulacrum technology (Zapata and Moore), and profit-centric art economics (Niemeier and Johnson). The nuances in style do not undercut the conversation and notably this subversive art is paired with political protests through the written word. Pick up a press release as you peruse and hear the cries of an adrift generation pry into the sublimated problems contradicting society today—whether social, political, or economic, artists in Transitions V.2 dive into dissent to question age-old ethics—change through action rather than blind acceptance. 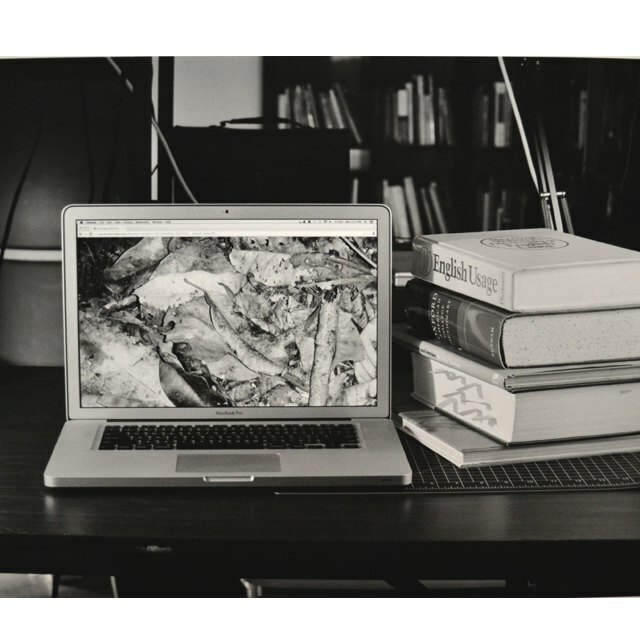 Joseph Moore, "Mimicry and Legendary Psychasthenia: Frog/Computer/Studio," 2013, archival inkjet from film negative, 17" x 22"
Our age is instantaneous because of advanced technology yet the diversity of life is not egalitarian but confusing. In Joseph Moore’s Mimicry and Legendary Psychasthenia:Frog/Computer/Studio is technology-ception—a photograph of a screen of a stock photo of a frog on a leaf-where is the origin in a hyperreal world? Sarah Zapata’s Entry Way Mat - Please Wipe Feet is an anthropomorphic receptacle too ornate to use, critiquing Technology’s invisible fist overriding action—draining thought from active choices to meaningless tasks. Transitions V.2 artists stab technology because it is hustling lives to a monotonous pulse. An age of diverse options, and because we are able to, we do—this wavering willingness is not active choice but acceptance—a way to ride the wave blind. 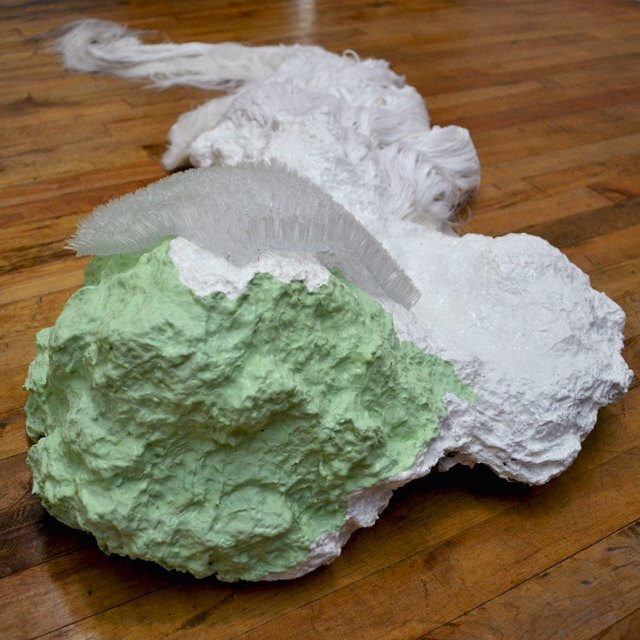 Sarah Zapata, "Entry Way Mat - Please Wipe Feet," 2013, paper pulp, cotton thread, nylon thread, paint and plastic bath mat, 60" x 24" x 9"
A sense of community without the veil of utopianism is refreshing—in accordance, critical art that is not fatalist is necessary. Being critical is a step towards change. To transition can be involuntary—one may drift through time, accept circumstances, doomed to the unfulfilling indeterminacy of today. Transitions V.2 artists are making art and doing something about it. Transitions V.2 is on view through February 2, 2014 at Associated Gallery. Saturday and Sunday 1-6PM.